Christmas is coming and our team are busy creating your beautiful products in time for the festive season! We wil be working right up to Christmas eve, but to make sure you don’t miss out on any future orders, here are our all important cut of dates for 2018. If you are collecting in store, then please also note our opening and closing times during the festive season. 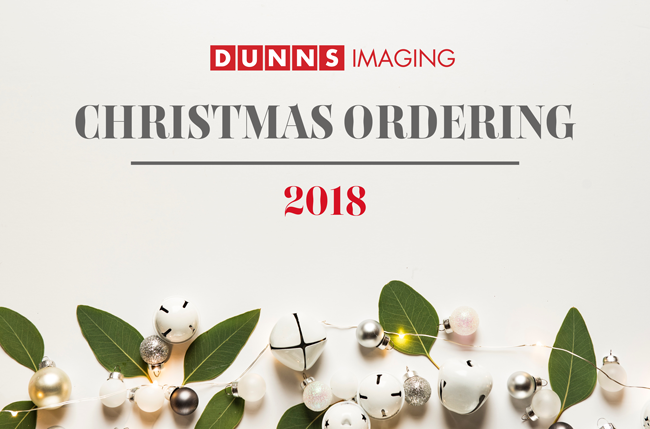 If you need any assistance or have any questions about Christmas delivery then please give us a call on 01384 564 770 or email enquiries@dunns.co.uk and we will be happy to help!